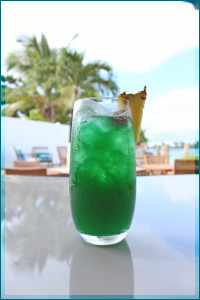 Mambos Dream Beverages of The Bahamas is a book of recipes. 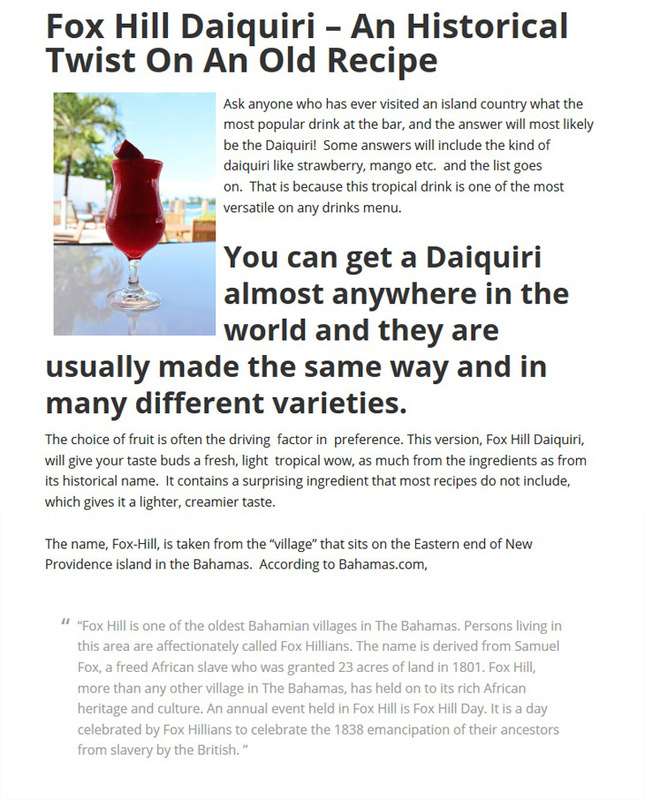 The book is a compilation of recipes passed down to the author by his father, the late Herber Zacharias Burrows, deceased, who worked as a bartender throughout the hotels around the Bahamas, where he learned how to mix drinks using a variety of rums, fruit juices, liqueurs and other flavors. Dennis Roger Burrows is a Bahamian CEO and President of Mambo's Dreams Enterprises. If you are looking for tasty unique beverages for any occasion at any time of year, our simple to follow drinks guide with over 200+ recipes is the only guide you need to whip up, mix up, and shake up refreshments in minutes. A simple drink guide. In the Bahamas, when you mentioned the name "Stormin Norman" everyone knew you were talking about the late Norman Solomon. This tantalizing beverage is called "SOLLY'S GROVE" was made in honor of "STORMIN NORMAN". He was a Journalist, a Sportsman, an Entrepreneur Extraordinaire, Tireless Civic Worker and one of the most competent Parliamentarians in the Bahamas. Shake well with crushed ice, serve in a 12 oz. Collins Glass. Dennis Roger Burrows is a Bahamian CEO and President of Mambo's Dreams Enterprises. This book is a compilation of beverage recipes passed down to him by his father, the late Herbert Zacharias Burrows, deceased, who worked as a bartender throughout the hotels around the Bahamas. Over is vast career as a professional bartender, Zacharias learned how to mix drinks using a variety of rums, fruit juices, liquers and other flavors. His recipes are used by many local (Bahamian) bartenders and after countless requests from visitors and friends alike, the book of recipes was created. As an ebook for your mobile devices, at You can see a sampling of recipes by clicking on the "Take A Look Inside" or download it now from the Amazon Kindle store for your mobile app. You can also request a pdf copy of the book following your purchase.